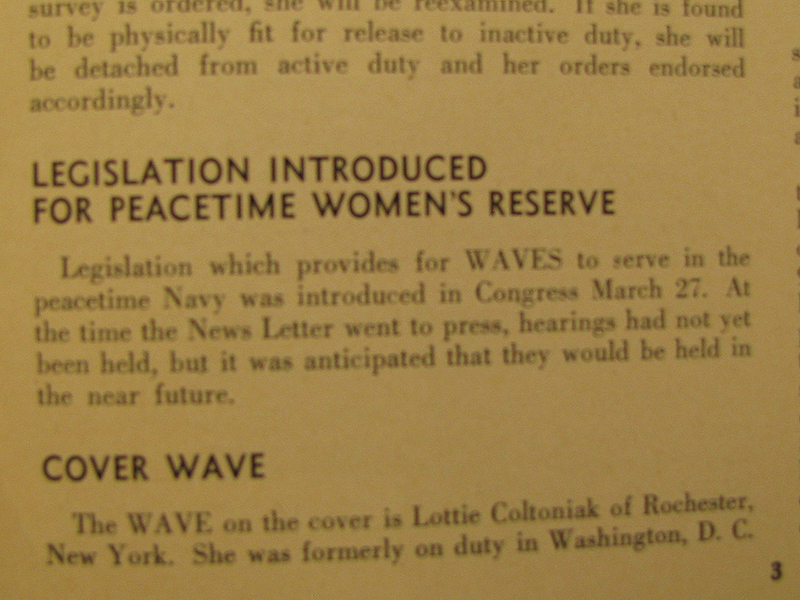 The May 1946 edition of the WAVES Newsletter included this tantalizing tidbit: that women might be welcomed into the peacetime Navy. The Women’s Armed Services Integration Act would pass in 1948, granting women permanent status in the Regular and Reserve forces of the Army, Navy and Marine Corps as well as in the newly created Air Force. This clipping comes from The Arthur and Elizabeth Schlesinger Library on the History of Women in America at the Radcliffe Institute for Advanced Study, Harvard University.